"I'm tired of walking everywhere--I want to just ride the horse. 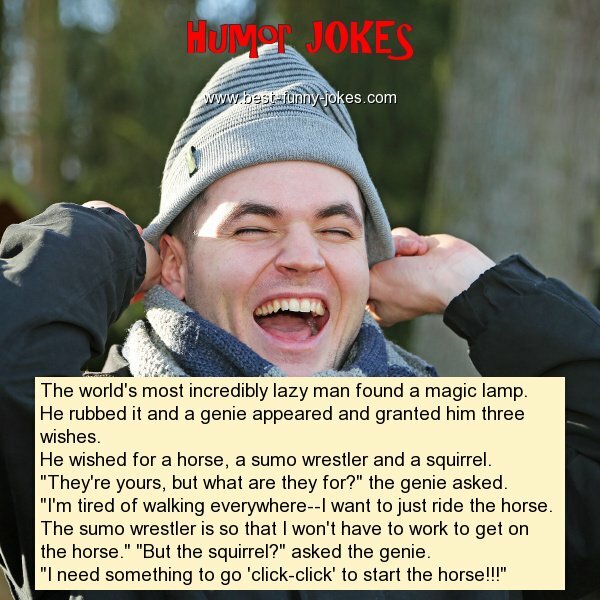 The sumo wrestler is so that I won't have to work to get on the horse." "But the squirrel?" asked the genie.